Thomas Fish, the president of pipe maker Anvil International, regularly walks the aisles of Home Depot quizzing employees about where he can find a product made in the United States. He says it's getting harder and harder to find one. And Fish, whose company operates in eight states, isn't the only one to notice. Dozens of executives testified Tuesday before a panel of US government trade experts to discuss how Chinese trade practices and intellectual property theft have affected their businesses. They came from a swath of industries, from makers of steel and aerospace parts to solar panels and snow blowers. More than 120 companies and business groups are airing their concerns during three days of hearings on the Trump administration's proposal to impose tariffs on $50 billion worth of Chinese exports. US Steel (X), General Electric (GE), Vista Outdoor (VSTO) and the National Association of Manufacturers are among the companies and groups whose executives are scheduled to speak. Some of them worry that the tariffs would hurt the economy and increase costs for American consumers. Others argue that the penalties would finally give struggling US businesses a much-needed competitive boost against China. Best Buy's chief merchandising officer, Mike Mohan, told the panel that the proposed tariffs would serve as a "significant new tax on US consumers and businesses," raising prices for consumers. But for other executives such as Fish, who have watched Beijing's policies erode their market share over the last two decades, the administration's proposal "would go a long way" in helping to level the playing field to keep up with lower prices. "We are being squeezed on both ends," he said. The pipe maker is seeking additional relief from the Trump administration as it considers applying tougher duties to address unfair trade practices and intellectual property theft. And it's not the only one. Makers of solar panels, aerospace parts and US steel each appealed to the Trump administration on Tuesday to expand its list of products subject to the tariffs. The executives said that would protect American jobs and safeguard their industries. US Steel's general manager, Robert Kopf, wants the tariffs to cover more tin- and chromium-coated steel sheet products. He says that would provide more relief for his company and more leverage for the United States to address unfair trade practices. 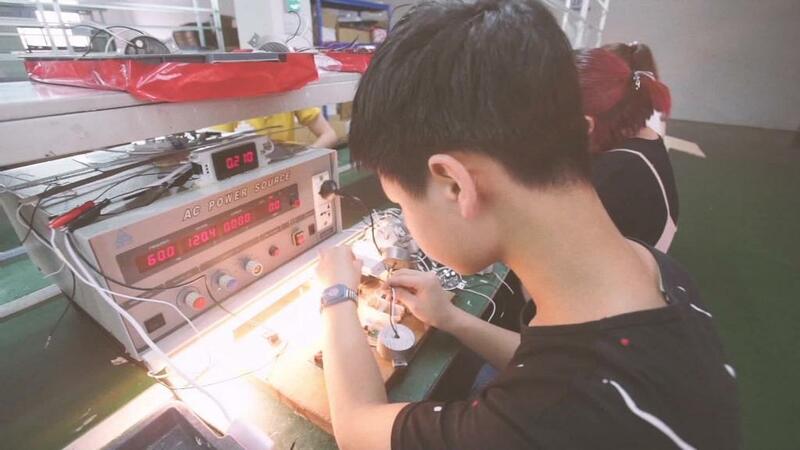 The world's largest maker of battery chargers, Schumacher Electric, said proposed tariffs would help protect the company from further intellectual property theft by Chinese companies. "If we don't have this type of protection, we are left with what currently exists," Cory Watkins, president of the Illinois company, testified at the hearing. Robert Griggs, founder and president of Trinity Products, said the steel company lost a $3.5 million project in Louisiana because of unfair competition from China on a steel product known as sheet piling. "We have come to a crossroads," Griggs told the panel. "Why would I invest more capital in this industry? How could I allow my family to continue in this industry as China cheats every day?" But executives whose businesses rely on China to manufacture parts said a tariff would amount to a new tax on their company. "I will essentially be forced out of business," said Mary Buchzeiger, chief executive of Lucerne International, which has produced the door and hood hinges for the Jeep Wrangler since 2005. She said her small, women-owned business in Michigan relies on products manufactured in China, and when she looked elsewhere to aid her supply chain "we found nothing." "Make no mistake: This duty aimed at Asian companies is effectively a 25% tax on my company," she said. Still, executives at Best Buy, Roku and TECO-Westinghouse Motor Company all told the panel it would take years for their businesses to build the necessary machinery to make the required components to produce flat-screen televisions, automotive parts, and other products. "There are no manufacturing capabilities in the near term available to build televisions in the US," said Best Buy's Mohan. Instead, those executives warned that such a new so-called tax would hit customers' wallets and result in the loss of American jobs.